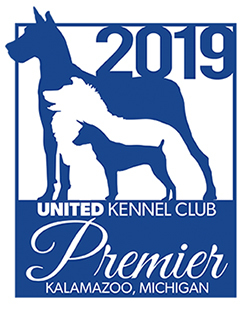 The process by which a litter out of a UKC permanently registered female, and sired by two (or more) UKC-permanently registered male dogs (all of the same breed) may be registered using the Dual-Sired Litter Registration Application. A DNA Kit for each Sire, the Dam and each pup born in the litter must be purchased, unless DNA is already on record at UKC. Each dog involved must be swabbed, and each swab must be placed in the properly labeled DNA envelopes. For puppies with UKC numbers not yet established, the DNA envelopes must be marked with the call name of the dog or an identifiable marker. Each DNA application must be completed with as much information as you can provide. The Dual-Sired Litter Registration Application must be filled out completely. The Dual-Sired Litter Registration Application and the DNA Profiles for all dogs involved and the appropriate fees must be submitted to UKC. Once all dogs and puppies have been successfully profiled, the litter owner will receive an Application for Permanent Registration for each pup. This is a temporary application used to permanently register a dog whose litter has been registered, and which holds no rights and privileges regarding event participation and/or for that dog to be used for breeding) for each pup. A Certificate of DNA Analysis will be issued for all dogs tested.